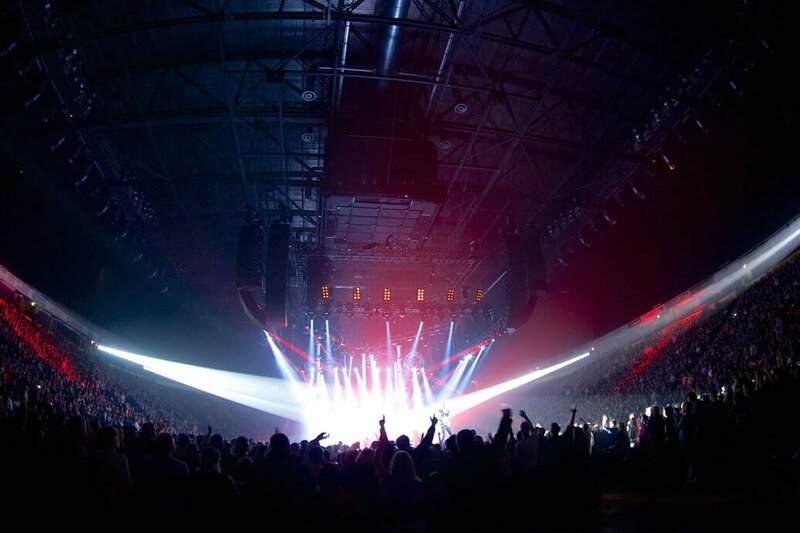 One of C-TEC’s super-powerful hearing loop systems has been installed at Manchester Arena. Connecting directly into the stadium’s sound equipment, the system ensures that everyone within a special five-block seating area can enjoy live concerts and sporting events at the 21,000 capacity ground. As large amounts of metal work can significantly affect the performance of hearing loops, five of C-TEC’s professional PDA1000 amplifiers were specified by HAS Consultants. The amplifiers feature inbuilt metal compensation control to offset any interference caused by the steel tiers in the reinforced concrete seating areas. A portable hearing loop is also in operation at the stadium’s help desk. Ideal for restricted person-to-person contact, the PL1’s portable, lightweight design means the system can be moved easily from location to location at Europe’s largest indoor arena.